It’s a rocket blast bonanza! For the degenerate blog author, vicious dictatorships are the gift that keeps on giving. It’s just so much fun to point out how utterly foolish their actions are. On the other hand, we also seem to spend a great deal of time bashing democratically elected politicians here too. So, I guess you could say we’re equal opportunity bigots. We hate all the human race. We’re all ruined. Please make your plans accordingly. My guests support this theory. They have volunteered their services to bring about our Eventual Doom. Celebrations are to be planned. Fun to be had. Anyways. So China’s overlords once again want the little people to know they care. The State’s on the path to slaying corruption. “After receiving a report from someone who provides his real name, the procuratorate should do a risk assessment and must, in a timely manner, implement a protection plan and prevent reprisals on the whistle-blower,” it said. Ah, I see. So, like, if we blow the whistle on Xi Jinping’s ~$2B personal fortune, do my guests & I get the support of the State to “prevent reprisals on the whistle-blower”? What about Ilham Tohti? Lots of people say he’s a well-deserving whistle-blower type. He’s said such interesting things like acknowledging Chinese rule over Xinjiang and promoting racial harmony with such delicious statements as: “do not place hatred between the two people, Uighur and Han”. So you know this guy is accorded all the protections of China’s just laws, right? Except he just got jailed for life. For life. Oh, so, ah, I guess they’re not serious. Hmm, I wonder if this is just about Xi using the excuse of fighting corruption so he can crush all opposition to his benevolent, wise rule. But he wouldn’t do that. He seems like a real standup, honest guy. 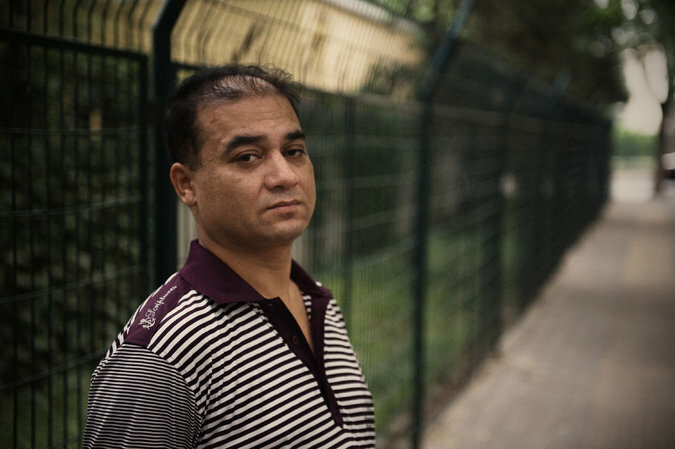 Just ask Ilham Tohti’s family. I’m sure they’d back him.